Acupuncture is a very wide concept. 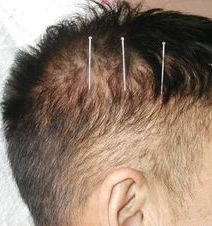 In USA, it includes all kinds of techniques related to acupuncture and moxibustion (針灸，Zhen Jiu), such as regular filiform needle therapy, electro-acupuncture, ear acupuncture, scalp acupuncture, cupping, skin needle therapy, intradermal needle therapy, three-edged needle therapy, indirect moxibustion therapy, direct moxibustion therapy, point external application therapy, acupressure, guasha, etc. Different acupuncture prescription with different manipulation, works differently. 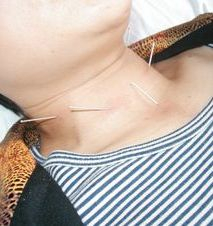 Many people just connect the concept of acupuncture with needles insertion, and feel scared. That is totally wrong. 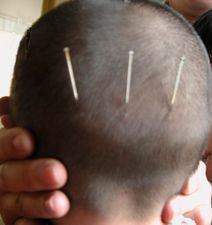 As mentioned above, from technical, there are many kind of different techniques included in acupuncture, most techniques with very little pain or no pain. 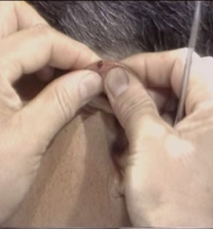 Further, there are complete theories to guide the techniques, such as theroires about meridians, Zang-Fu, Chi, anotomy, neurophysiology, etc. Another misunderstanding about acupuncture is that people think acupuncture just for pain syndrome. It is true that acupuncture was very well verified to treat pain syndrome, however, it is more widely to be used for treating hundreds of conditions. From common cold healing to cancer support, acupuncture combined with herbal medicine, can help more or less, but it works or not, highly depends on who use it, how to use it. How to choose acupuncture points and techniques, how to apply different manipulations, depends on the doctor’s medical knowledge and clinical experiences, so to find a well educated, experienced provider is very important. 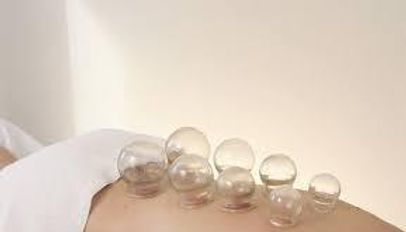 Cupping is a therapy in which a jar is attached to the skin surface through the negative pressure. It is a no pain or very slight pain treatment, including several different techniques.It has the function of promoting the free flow of qi and blood in the meridians, warming yang and dispelling cold dampness, relaxing muscles and diminishing pains, etc. It can be used widely to adult, senior and children. Moxibustion is a therapy that can prevent and treat diseases with heat stimulation on acupoints or related parts of the body. The material used is mainly “moxa-wool” in the form of a cone or stick. For centuries, moxibustion and acupuncture have been combined in clinical practice, thus they are usually termed together. 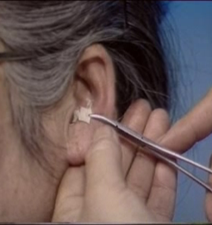 It is a no pain or less pain treatment, including lots of different techniques. Moxibustion can help to warm meridians and expel cold, to induce the smooth flow of qi and blood, to prevent disease and maintain health. It also can be used widely to adult, senior and children. Chinese Herbal Medicine is an important portion of traditional Chinese medicine, combined with acupuncture, like the two legs of our body. There is a common misunderstanding to Chinese herbal medicine. Some people think if they use herbs from China, that is called Chinese herbal medicine. This kind of thought is totally wrong! 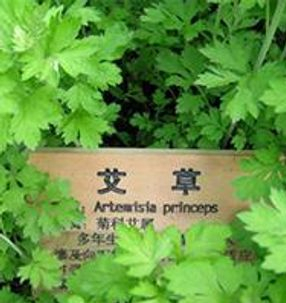 Whatever where the herbs from, Only if we use herbs under the guidance of traditional Chinese medicine theories, this process can be called Chinese herbal medicine. Or else,it is not. Chinese herbal medicine is individual medicine. The doctor needs to collect each patient's information by inspecting, listening and smelling, inquiring, palpation ( four basic TCM diagnostic methods) , then highly summarizes the etiology, location, nature, the struggle between the body resistance and pathogenic factors and condition of the disease in a certain stage of the disease process. After making an overall analysis on the information, the doctor will make a TCM diagnosis. All the steps are supposed to be based on the TCM theories. 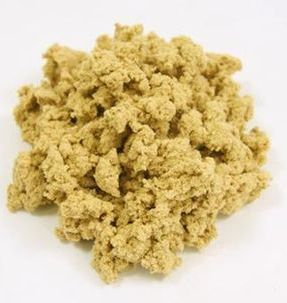 Thereafter,the doctor need to determine the treatment principle according to the diagnosis, and then organize different herbs together to form a specific formula. We can see, the whole process is very complicated. A specific, effective herbs prescription highly reflects the doctor’s medical knowledge, clinical experiences and personal wisdom. Chinese herbal medicine can be used independently for many kinds of condition, also can be combined with acupuncture treatment together. Chinese herbal medicine is especial effective for most of internal medicine diseases, gynecology diseases, and some skin diseases. Do Chinese herbal medicine have side-effects? It is difficult to simply use yes or no to answer this question. If you do not use the herbs correctly, yes, it has side-effects. That is easy to be understood. Even if you eat food not correctly, also you will get negative results. However, If you use the herbs correctly, it is safe and effective, the side-effect much much less than chemical drugs, but can help lots of severe situation to recover. In a word, Chinese herbal medicine working or not, having side-effect or not, all depends on how to use it. So to find a well educated and experienced provider to make the prescription for Chinese herbal medicine is very important. What is Taoist energy medicine? Here the Taoist not refers to religious Taoism. “Tao”道, I think the best English translation for the original meaning would be “ God's word”-- Energy. In the universe, all visible things have invisible background, so we say everything is energy. The thoughts from Lao Zi and Huang Di Nei Jing formed two thousand years ago. The ancient physician told us : Keeping a peaceful mind and living a simple life without undue desire allows the energy of the universe to flow through you. 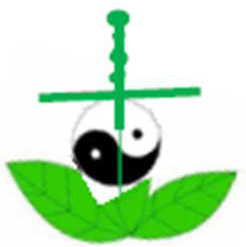 Taoist Energy Medicine does not belong to any kind of religion. It just displays the truth of the universe in the medical field-- seeing something beyond matter, recognizing everything connected and working together. The simplest wisdom is the highest. We emphasize on “ Tian Ren Xiang Ying” 天人相应( correspondence between heaven and human, or deeply, we can say, human being is the image of the heaven) and believe that “Tian Ren He Yi”天人合一( human being merged into heaven, heaven living in human being's inner side) is the highest wisdom. Here the word “ Tian” - heaven, is equal to the word “ God” in BIBLE, means something above our human being's consciousness, the oneness in the universe. If you understand the highest wisdom and open to it, rest your thoughts and mind in the highest wisdom, wait upon the spiritual calling, the process can help you get peace, promote the energy flowing in your body and around smoothly and reach a balance, further boost your immune system and cure diseases.